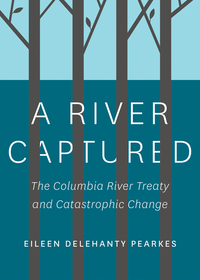 A River Captured explores the controversial history of the Columbia River Treaty and its impact on the ecosystems, indigenous peoples, contemporary culture, provincial politics and recent history of southeastern British Columbia and the Pacific Northwest. Long lauded as a model of international cooperation, the Columbia River Treaty governs the storage and management of the waters of the upper Columbia River basin, a region rich in water resources, with a natural geography well suited to hydroelectric megaprojects. The Treaty also caused the displacement of over 2,000 residents of over a dozen communities, flooded and destroyed archaeological sites and up-ended once-healthy fisheries. The book begins with a review of key historical events that preceded the Treaty, including the Depression-era construction of Grand Coulee Dam in central Washington, a project that resulted in the extirpation of prolific runs of chinook, coho and sockeye into B.C. Prompted by concerns over the 1948 flood, American and Canadian political leaders began to focus their policy energy on governing the flow of the snow-charged Columbia to suit agricultural and industrial interests. Referring to national and provincial politics, First Nations history, and ecology, the narrative weaves from the present day to the past and back again in an engaging and unflinching examination of how and why Canada decided to sell water storage rights to American interests. The resulting Treaty flooded three major river valleys with four dams, all constructed in a single decade. At the heart of this survey of the Treaty and its impacts is the lack of consultation with local people. Those outside the region in urban areas or government benefited most. Those living in the region suffered the most losses. Specific stories of affected individuals are laced with accounts of betrayal, broken promises and unfair treatment, all of which serve as a reminder of the significant impact that policy, international agreements and corporate resource extraction can have on the individual’s ability to live a grounded life, in a particular place. Another little-known aspect of the Treaty’s history is the 1956 “extinction” of the Arrow Lakes Indians, or Sinixt, whose transboundary traditional territory once stretched from Washington State to the mountains above Revelstoke, B.C. Several thousand Sinixt today living south of the border have no rights or status in Canada, despite their inherent aboriginal rights to land that was given over by the Treaty to hydroelectric production and agricultural flood control. With one of the Treaty’s provisions set to expire in 2024, and with any changes to the treaty requiring a 10-year notice period, the question of whether or not to renew, renegotiate or terminate this water agreement is now being actively discussed by governments and policy makers. A River Captured surveys important history that can influence debate on who owns water, how water should be valued and whether or not rivers can be managed for non-human values such as fisheries, as well as the familiar call for more affordable electricity.